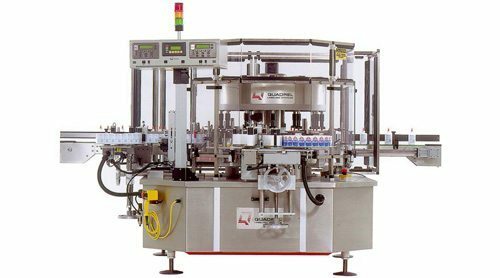 Quadrel’s full line of rotary labeling machines are available with Pin or IV Lug Orientation, Programmable Platforms, Pull Thru or Self Powered conveyor, Shaped Bottle Plates, Air Inflation, Redundant Labeling Heads, and speed capabilities from 100-500 bottles per minute. 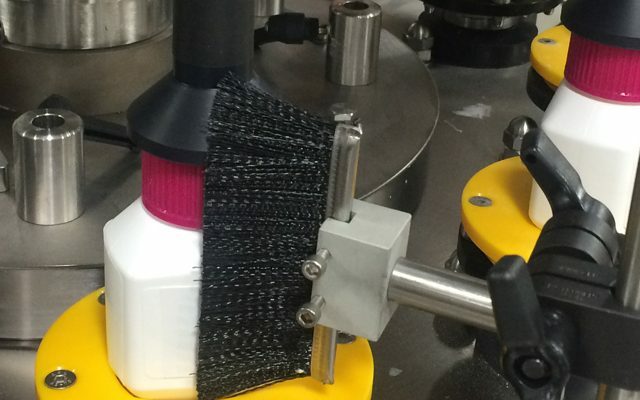 All rotary labeling systems feature Allen-Bradley PLC, color touchscreen HMI and choice of High Torque Stepper or Servo driven label applicators. 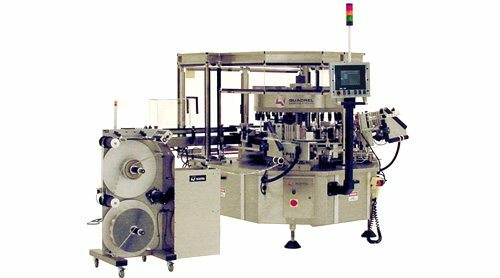 Quadrel’s rotary labeling system combines world class product handling with technically advanced servo driven label applicators and Allen-Bradley PLC control. This product decoration system is unsurpassed in accuracy, reliability and performance. 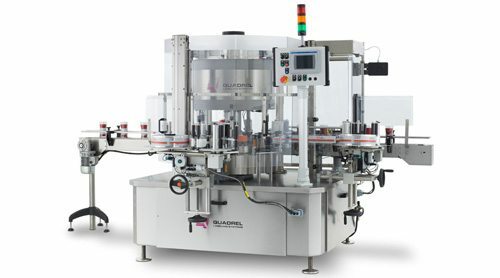 This high speed rotary labeling system from Quadrel features various product orientation technologies, including programmable platforms, pin and side lug orientation as well as air inflation for thin-walled containers. Quadrel’s world class rotary labeling system is ideal for decorating the fronts, backs and necks of wine, champagne or distilled spirit bottles. Featuring a wide variety product orientation methods including pin and side-lug orientation. 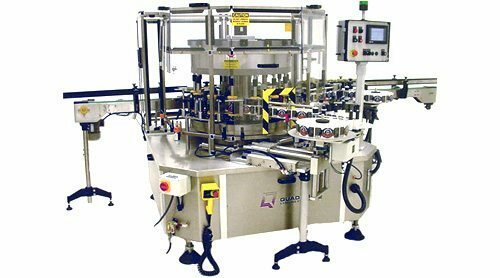 This Quadrel rotary labeling system is designed for production rates of up to 500 products per minute. Features include Allen-Bradley PLC control, AB PanelView color touch screen, programmable bottle platforms and servo driven label applicators.